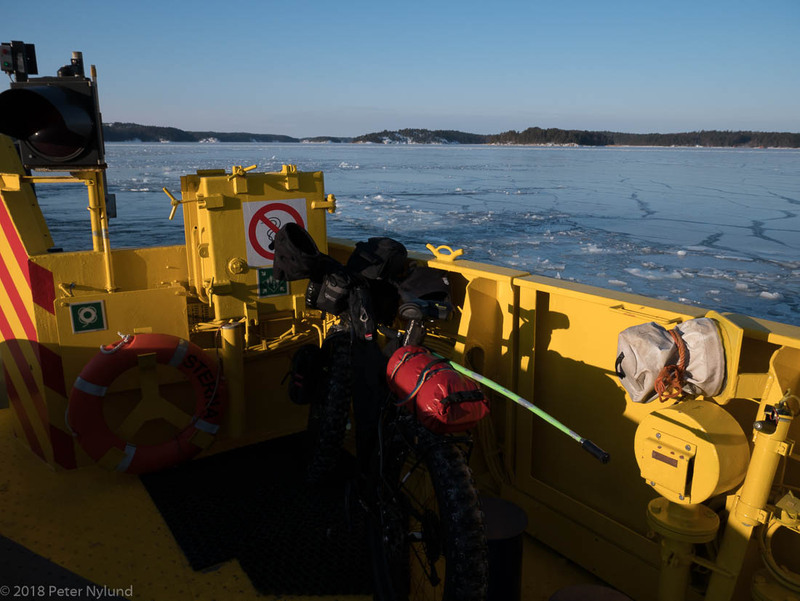 I'll return to last week's ride to Åland on ice, since there seem to be so many misunderstandings about sea ice and riding on it with a reasonable degree of safety. 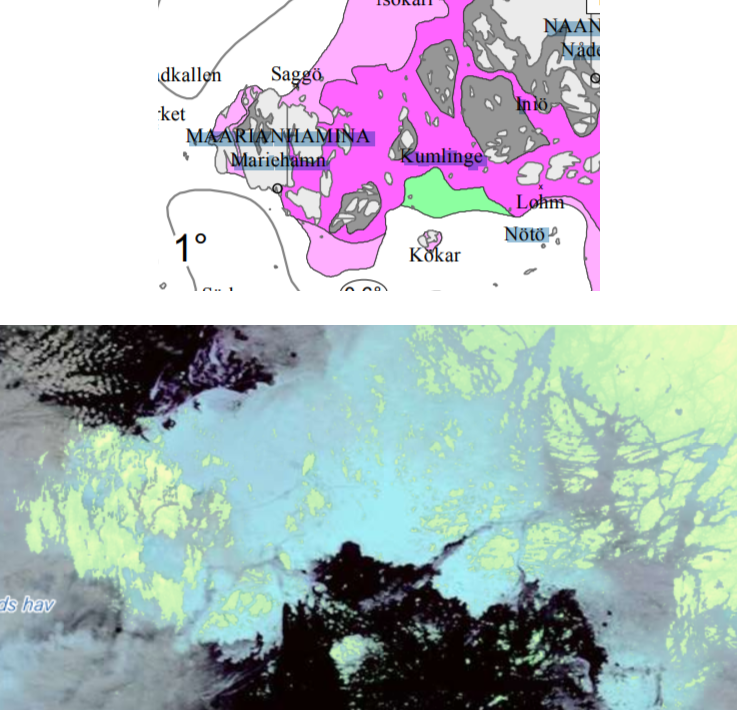 When assessing ice, the history of the ice is of importance, and hence I will take a look at that. The winter started pretty late, one week into January. The weather wasn't very cold for the most part, but we got snow and had a nice winter. By 17th February most of the snow had already fallen and after it snowed only small amounts of fluffy cold snow. 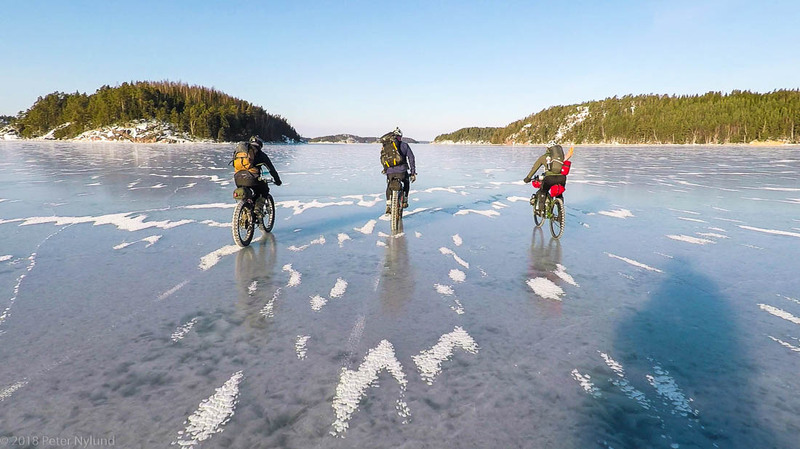 At this moment the inner bays had ice, but there was nothing further out. 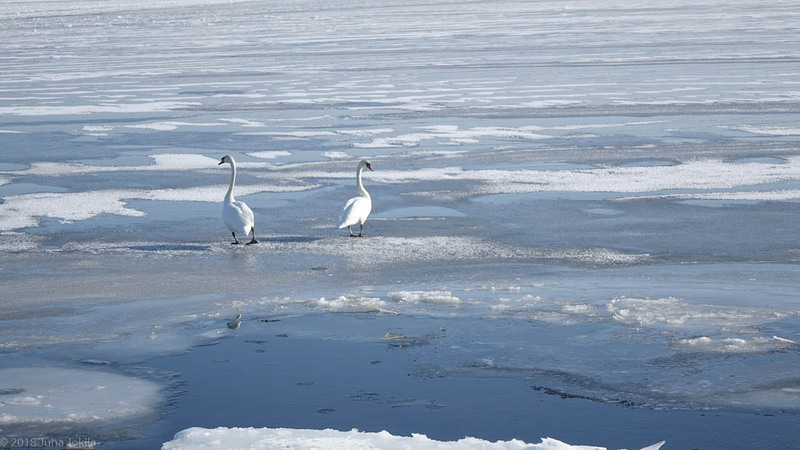 At the same time, however the temperature dropped down to -15 - -20°C. There was no wind and the sea water was already very cold. 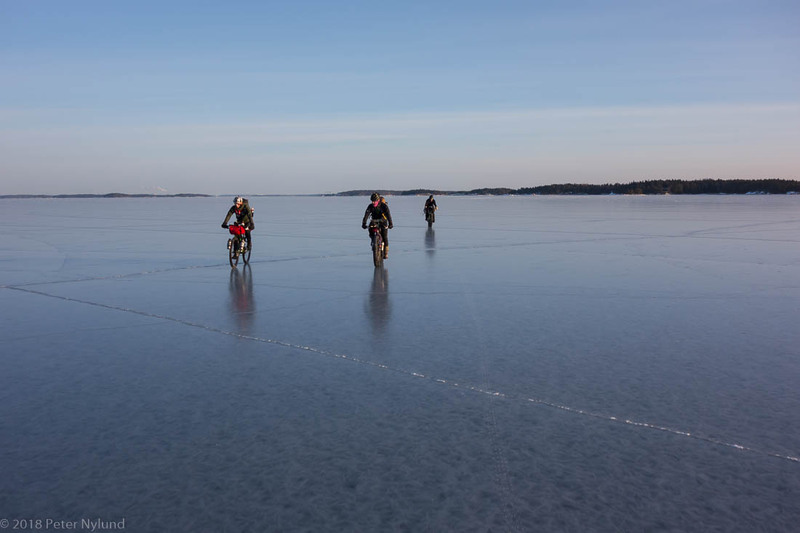 The ice cover started to grow. 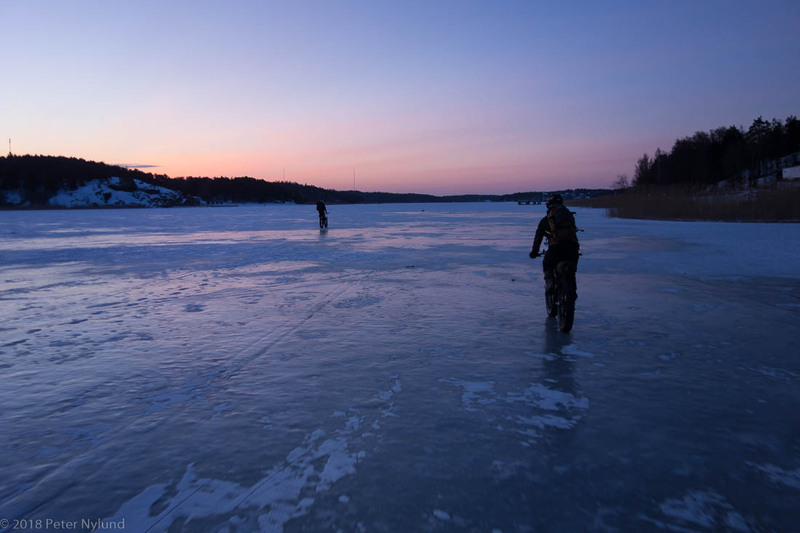 On Wednesday 21st there was already ice on larger open places. It was still thin enough to limit skating, though. 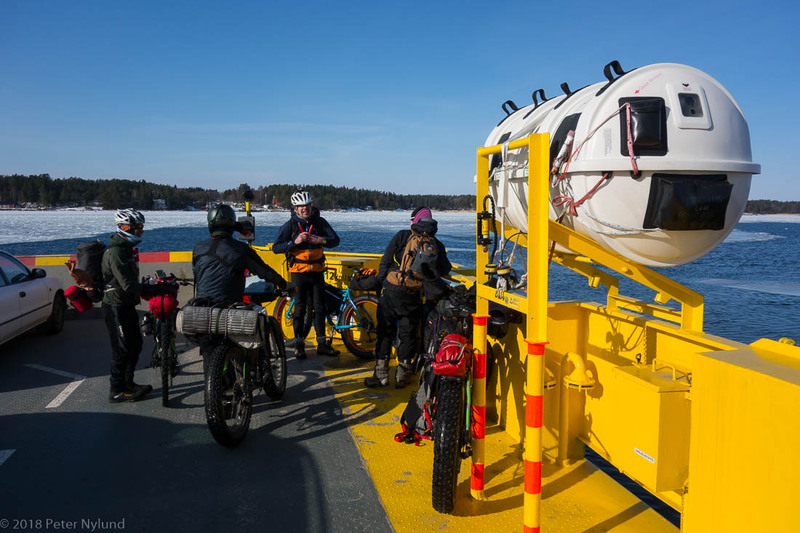 The weather continued to be cold and the wind got stronger, but was mostly from northeast, meaning that it didn't cause any waves affecting the ice. 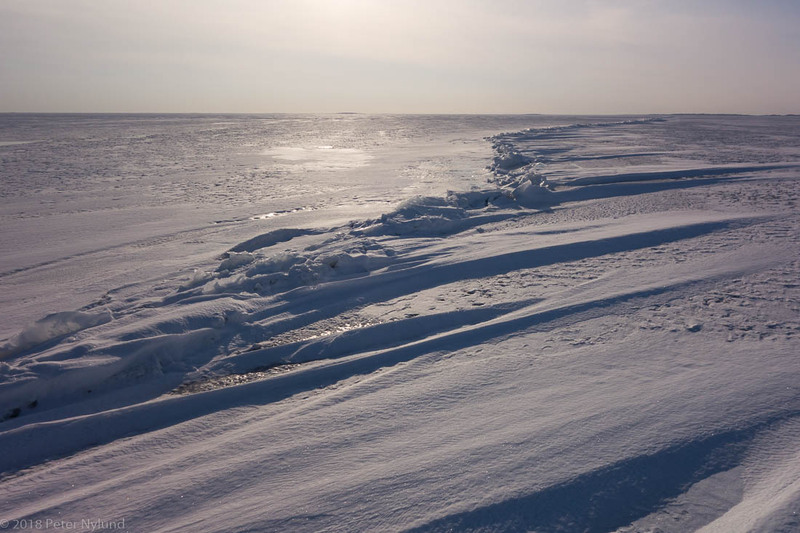 Instead it just transferred heat away from the ice more efficiently, causing the ice to grow rapidly. 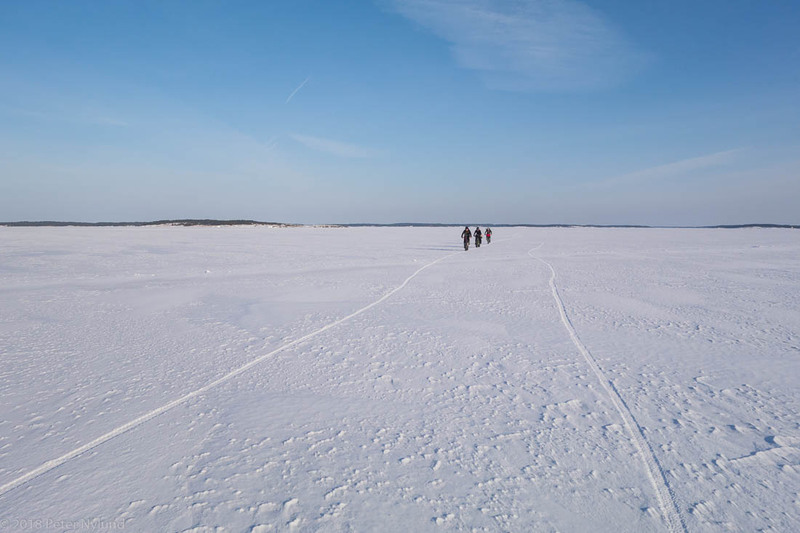 By Saturday 24th large areas of the archipelago was frozen, but there were still weaker places and occasional open wind wells. 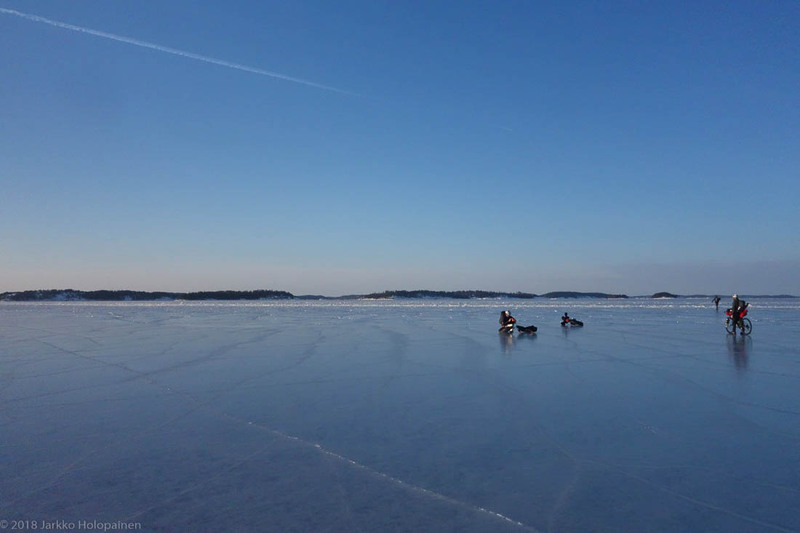 I did follow the ice charts, mainly for Nordic skating, and on Monday 26th I noticed that there was an ice cover all the way to the Åland islands, over Skiftet/Kihti to the Brändö archipelago and further through Kumlinge to the main Åland islands. 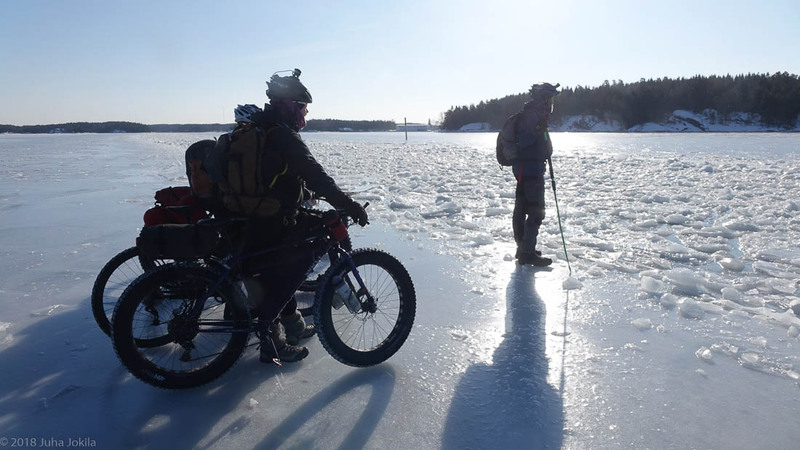 At this point I contacted the usual suspects for a possible ride on ice to Åland, with very preliminary plans. 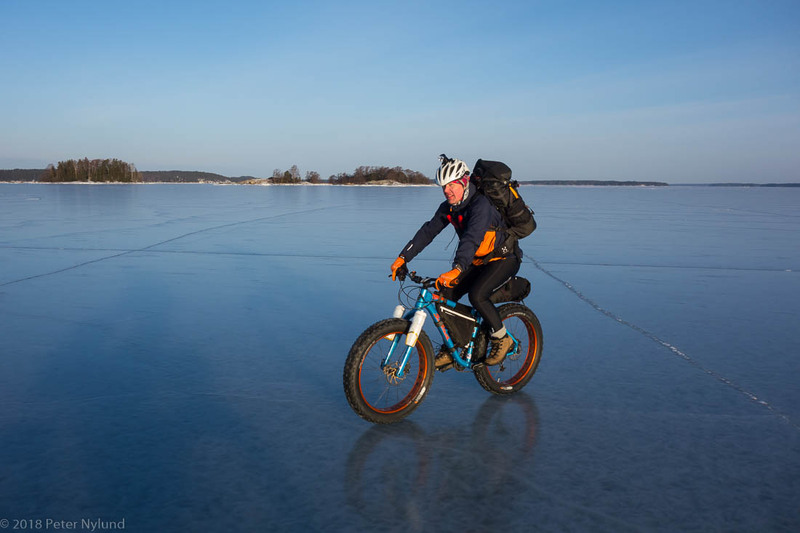 At this point it would have been suicide to go, but I decided to give the ice a week to grow, since the weather forecast showed cold and stable weather for that to happen, and review the situation. 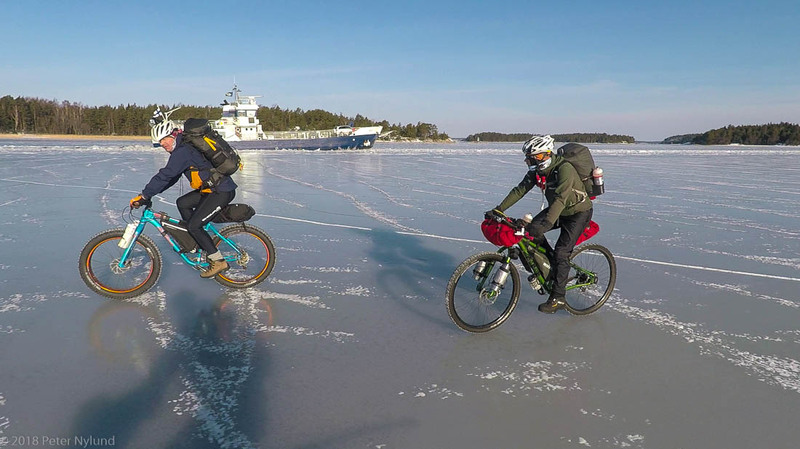 The following weekend three different groups of Nordic skaters skated from the Rymättylä island west of Turku to Åland, see e.g. 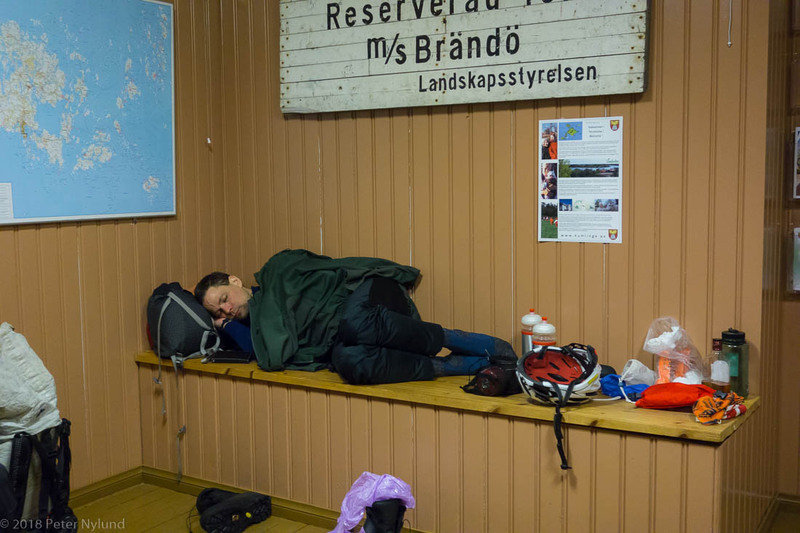 Eva-Lotta's trip report in Swedish, and I got access to real life ice observations. 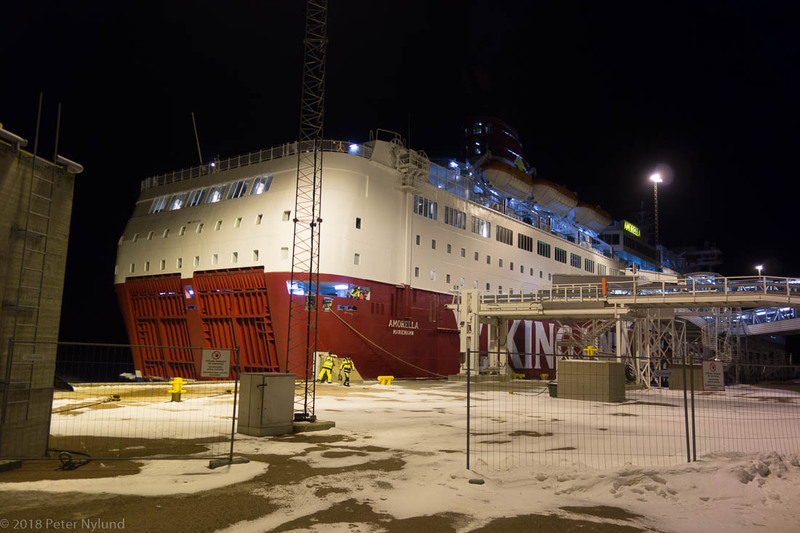 On Sunday 4th March some wind wells with too weak ice were still found closer to Långnäs, in part probably because the big ferries passing nearby do affect the ice, but otherwise it looked nice. 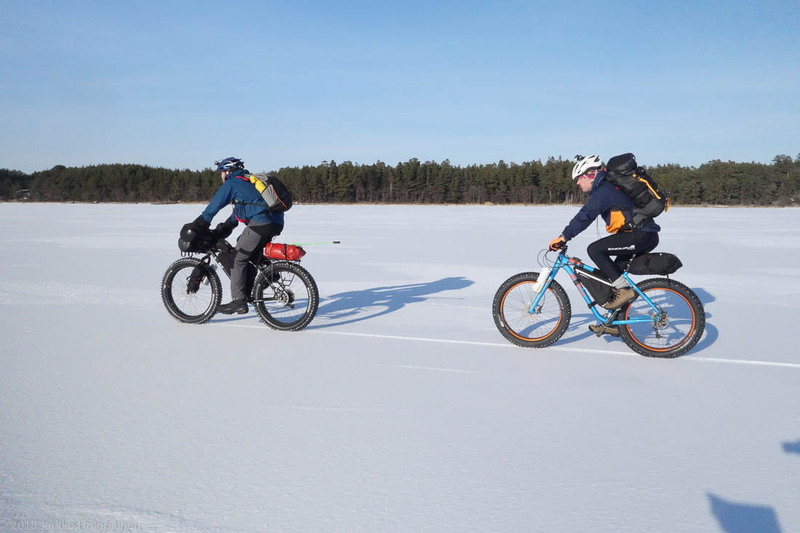 At this point I had already assembled a group for starting from Långnäs Saturday 10th, riding back to Turku in a nice and relaxed manner with one night in tents somewhere on the way. 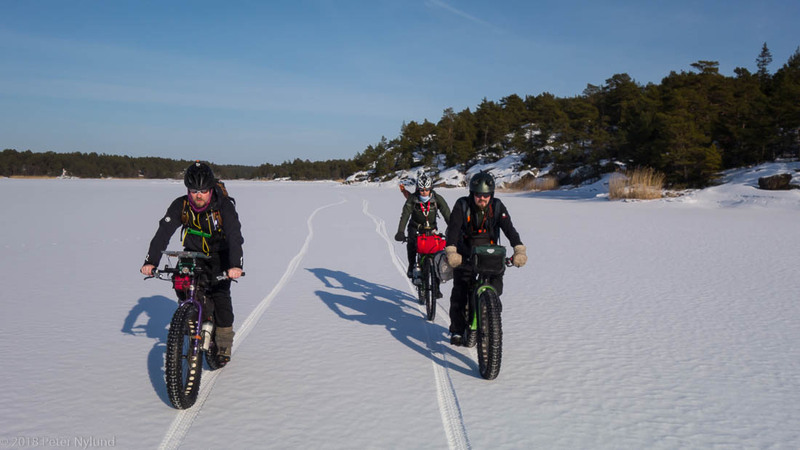 However, on Monday 5th the weather forecast changed abruptly with good amounts of snow forecasted for Thursday 8th, which would make the trip unsafe. 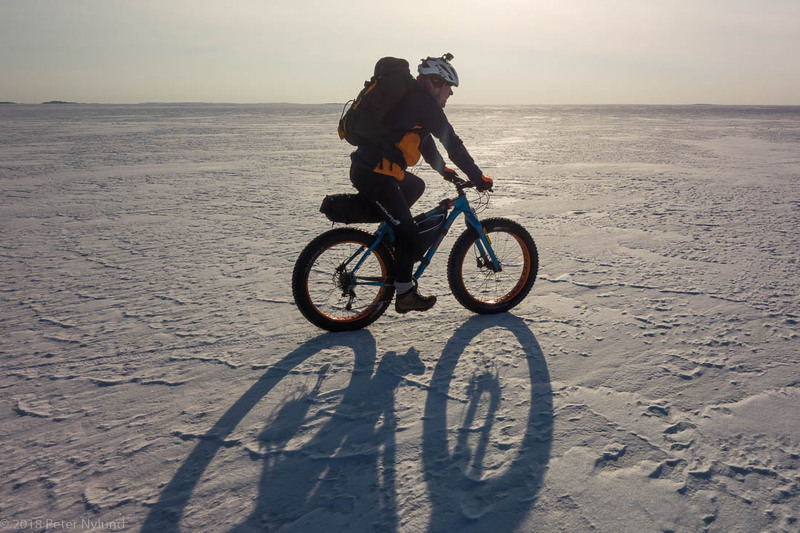 The snow would slow bike riding down, possibly down to bike pushing, but above all it would mean going on the ice essentially blind, which is far from acceptable from a safety perspective. 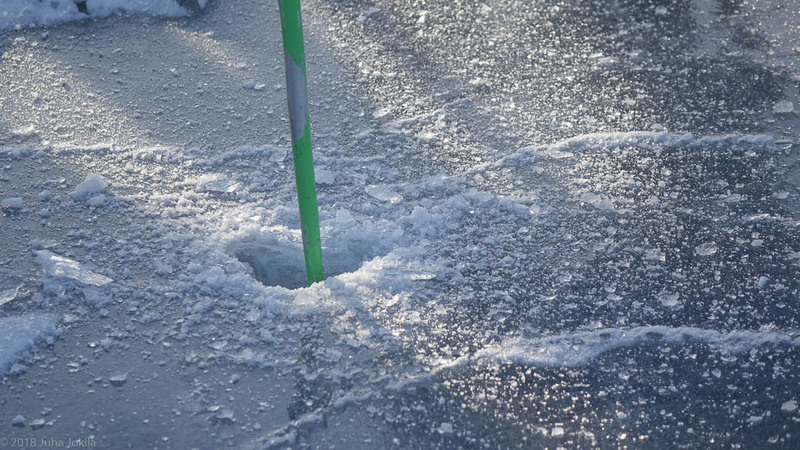 You need to see the ice well enough in order to discover possible weak spots, like wind wells. 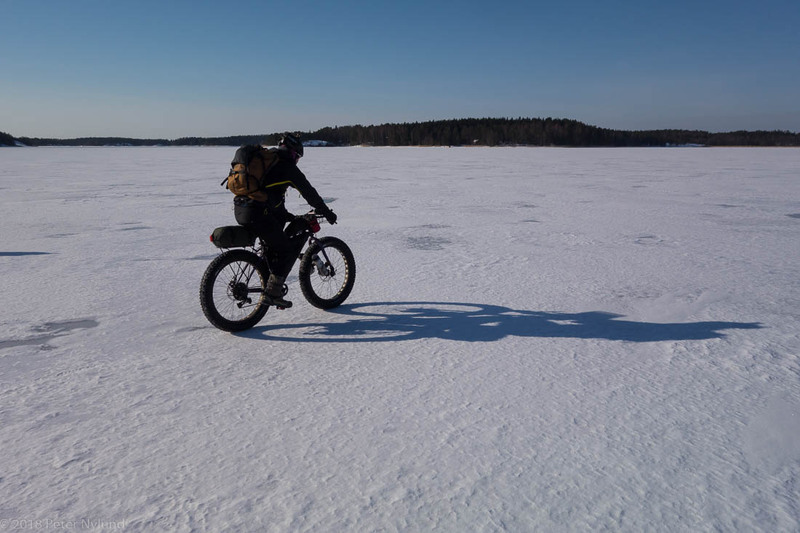 I came up with a plan to ride from Turku to Långnäs on Åland in one day, going light and (relatively) fast. 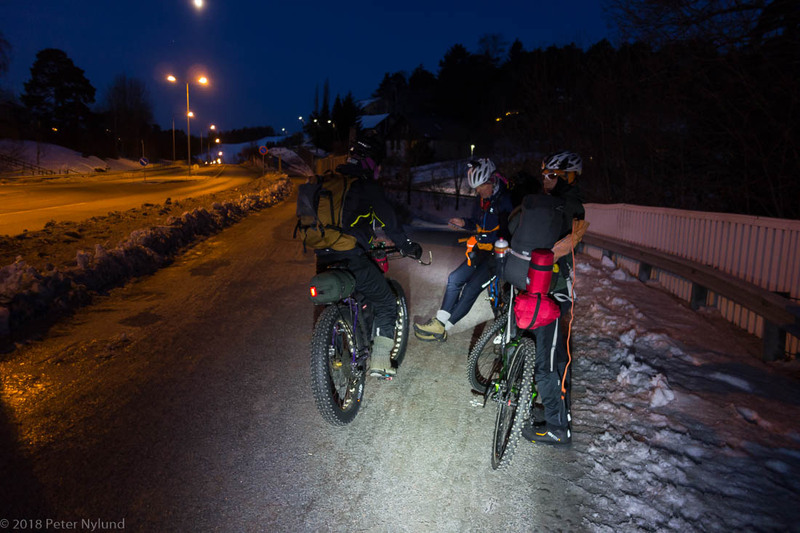 At first the usual suspects didn't respond, so I asked for company in the MTB-Turku Facebook group. A rather desperate measure with very small chances of getting anyone previously unknown to me that I would trust enough for a demanding and potentially risky trip like this one. 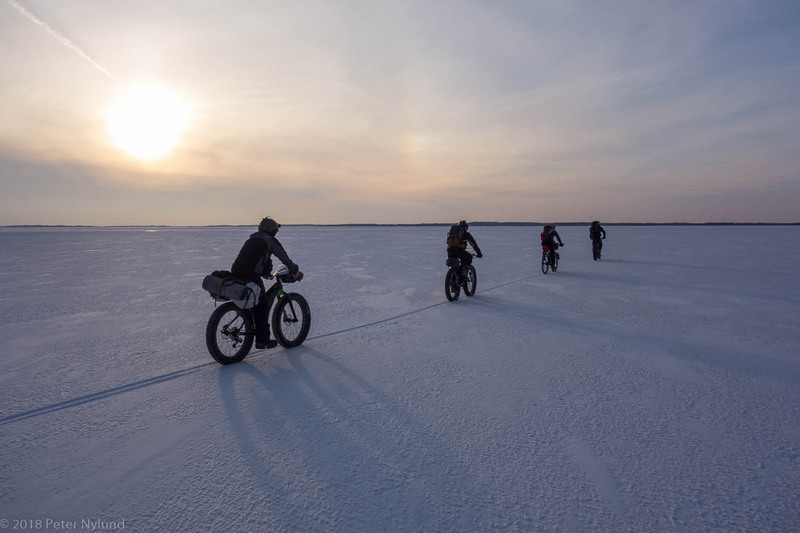 The changed plan was however met with good response from the usual suspects and five of us eventually did the trips. We had done outdoor stuff together for ten years and trusted and knew each others capabilities, which is a big safety factor in demanding situations. And I think five is a good number: The safety probably continues to rise with a group size up to five persons, more persons would probably again mean more risks. Five persons give some redundacy in case of emergency. The trip was made without problems and in my opinion with a good safety level. 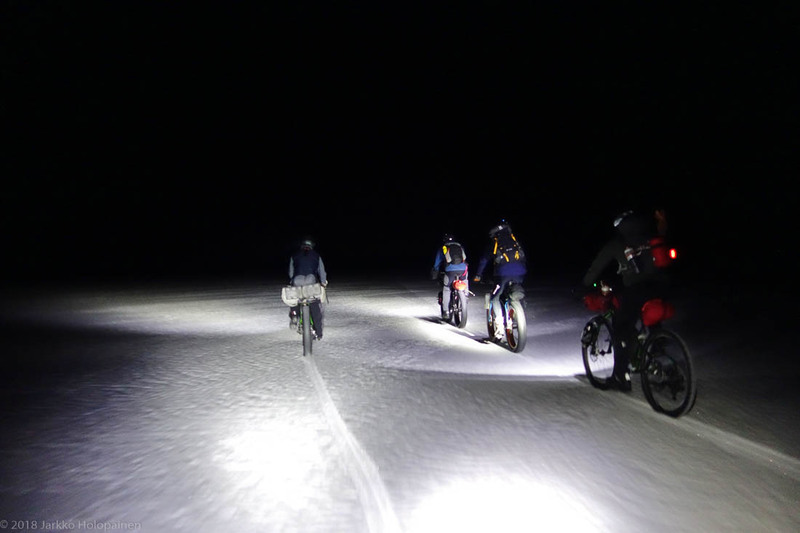 The snow arrived on Thursday 8th as forecasted and the trip would no longer have been possible to execute safely. 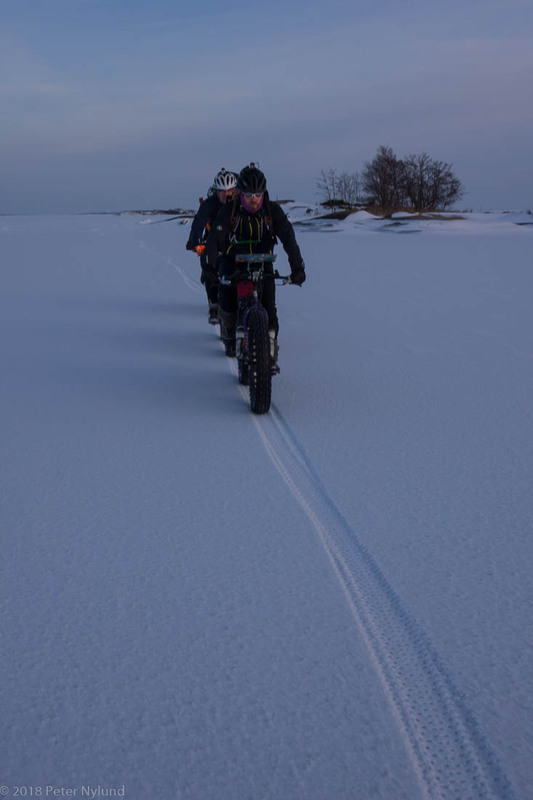 Afterwards, requests for a GPS track of the trip started coming in and I refused to give them, forcing me to be a bit blunt in some answers. I did however refer to the policy made by the Nordic skater's association, which has persisted through many years and much discussion. 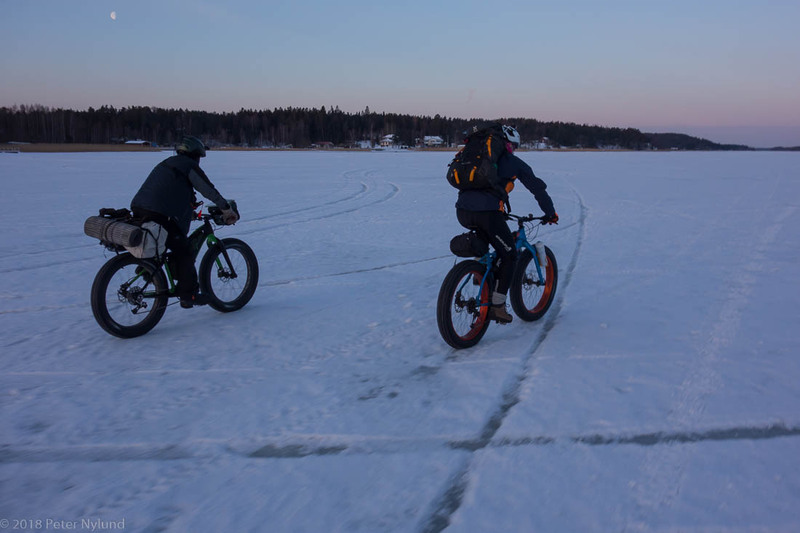 A GPS track from ice isn't necessarily valid any time outside the trip, since the ice is so dynamic, and misused could give a false sense of security. Essentially it is of the category "if you have to ask, you're not ready for it". 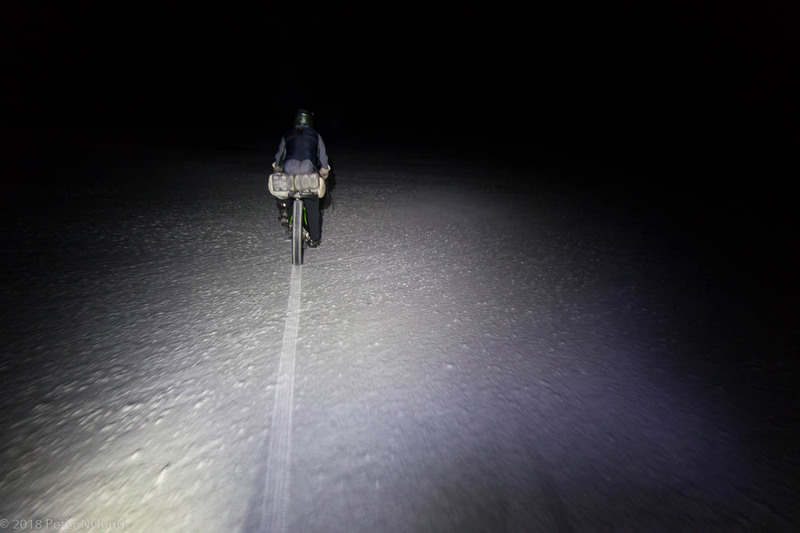 The blog report anyway contains enough information for retracing the trip with reasonably accuracy. As a sidenote, I dislike the trend to ask for GPS tracks for everything. 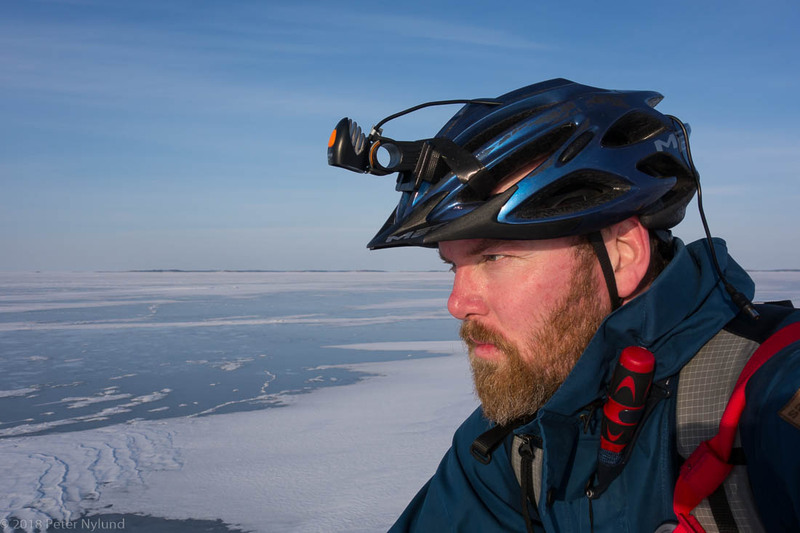 If going by the GPS all the time, there is no opportunity for discovering anything new, which for me is one of the best things of the outdoor disciplines. 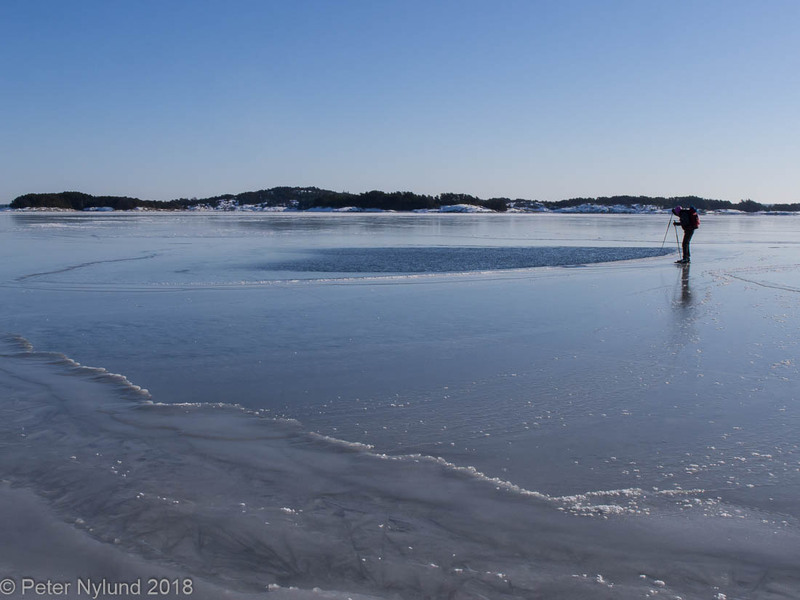 On Monday 12th the ice fields east of Åland were marked as drift ice, meaning that something had happened and the uniform ice field broken up. Probably nothing more that a lot more cracks and possible ice channels, but at that point the weather was warmer, it snowed and rained a little and there was likely water on the ice. Definitely not safe conditions. 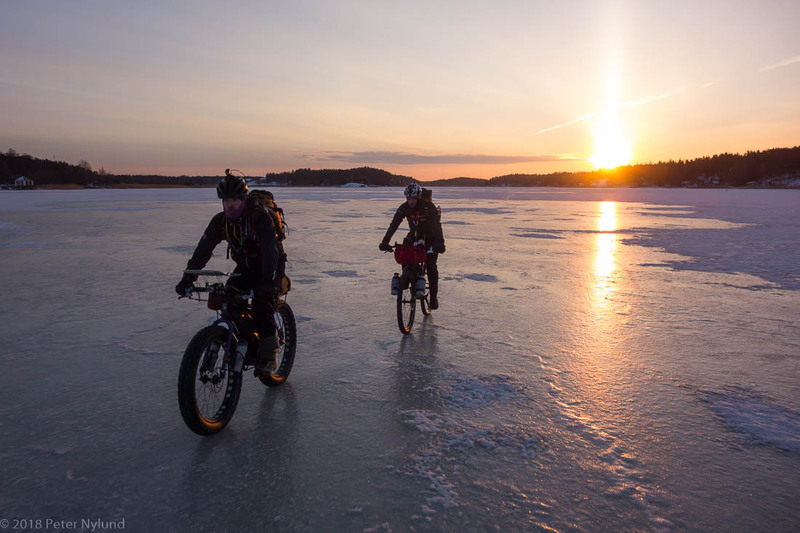 At the time of writing 18th March, the trip would again be possible, judging from ice charts and satellite images. 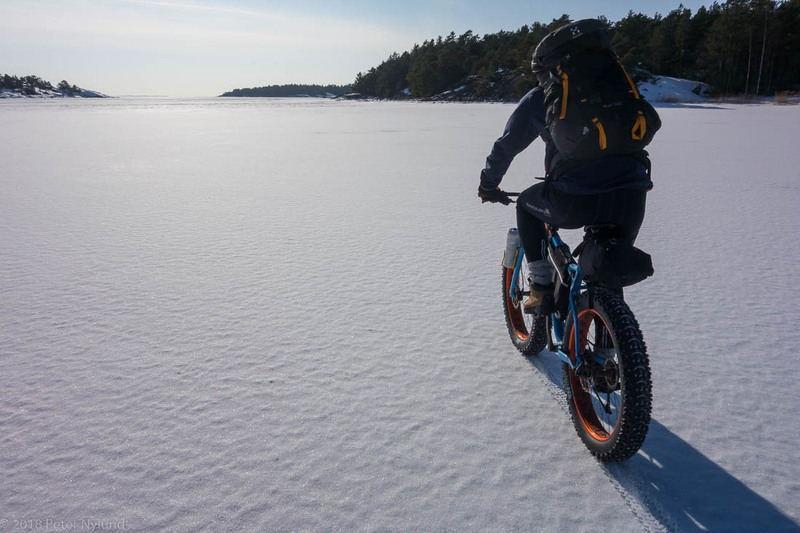 It has been cold for a few days, and the ice east of Åland should be free of snow. 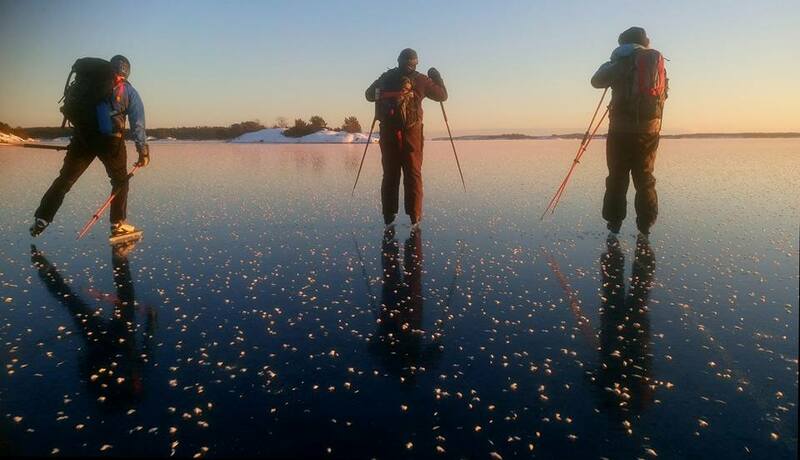 Currently demanding Nordic skating trips are made far out in the archipelago, but there are no ice observations from the ice east of Åland. I wouldn't be as confident in the ice now as one and a half week earlier, though. 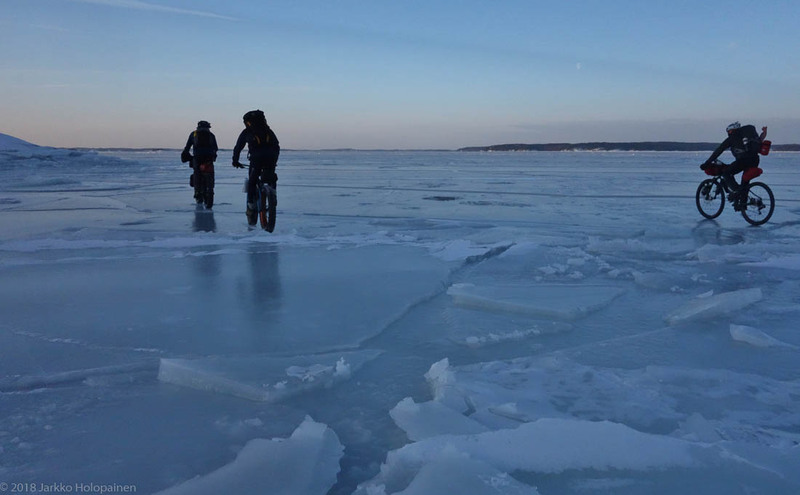 The ice is thick, but there are potentially more surprises.